Hot mashed potato with meat encased in a crunchy shell is a lure snack. It’s healthy and easy to prepare at your kitchen. Mix well Knorr Mashed Potato, full cream milk powder, soft salt, pepper powder, and Knorr Chicken Powder. Boil UHT milk and ater and pour it into mixture no,1. Mix them well by using a mixer. After the dough is cooler, we can add spring onion and egg yolk and mix them well. Weight the dough about 30 grams each and add cikua (suki) and cheese as the filling. Then, dip into mixture of flour water, egg white and put each dough into Japanese bread crumb. Next, deep fry the dough until they turn into golden brown and take them. 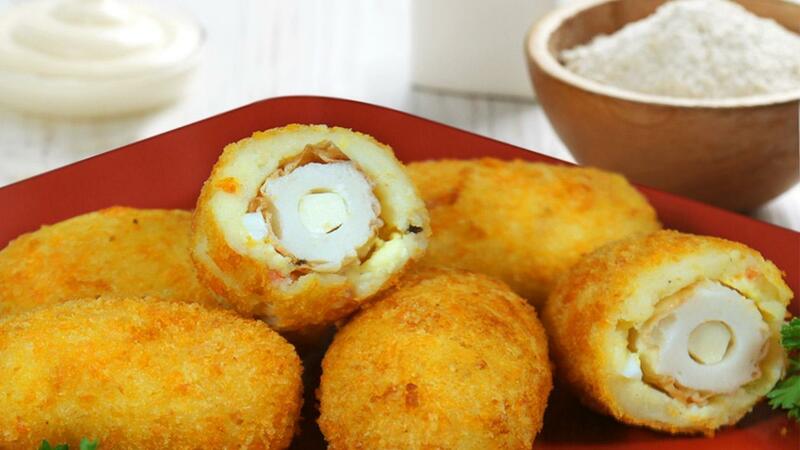 Warm served the croquette with Best Foods Mayo Magic sauce.